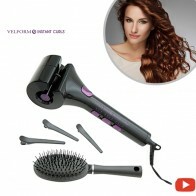 Velform Brush & Dry, the ultimate two-in-one hot air brush, that combines the power of a professional dryer with the gentleness of a styling brush. 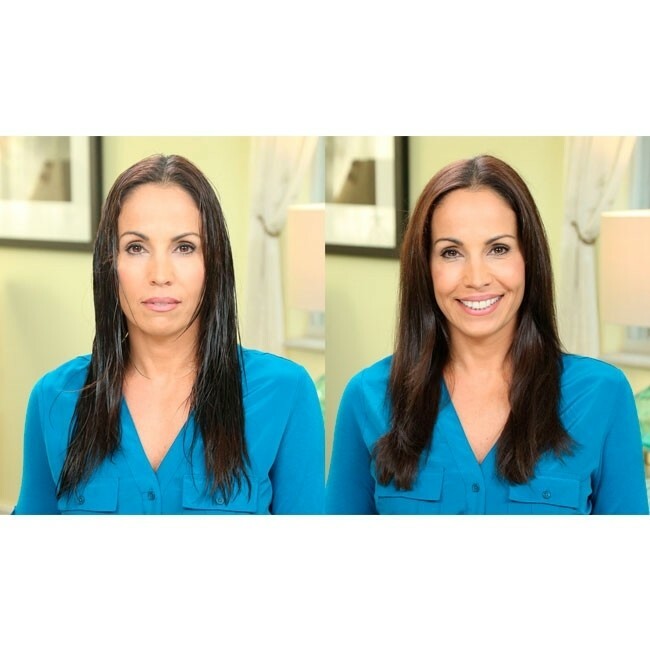 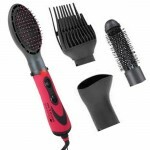 Forget about chemical products and hot styling tools that damage your hair. The Velform Brush & Dry is all you need. 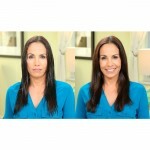 Its gentle heat is actually good for your hair adding moisture and shine. 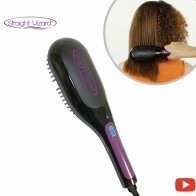 And it’s so easy to use, you only need one hand, leaving your other hand free for styling. Now you can brush blow dry and add shape to your hair, all at once, giving you the results you've always wanted in half the time. 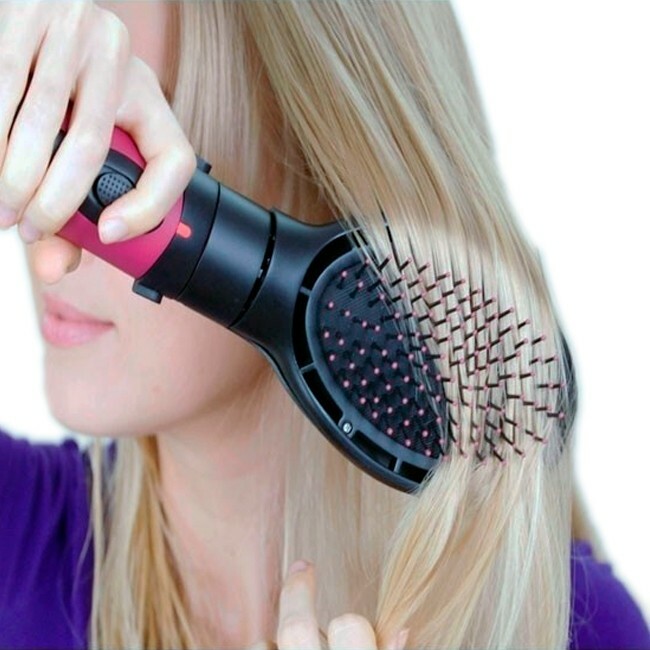 Say goodbye to painful brushes that get stuck and pull your hair. 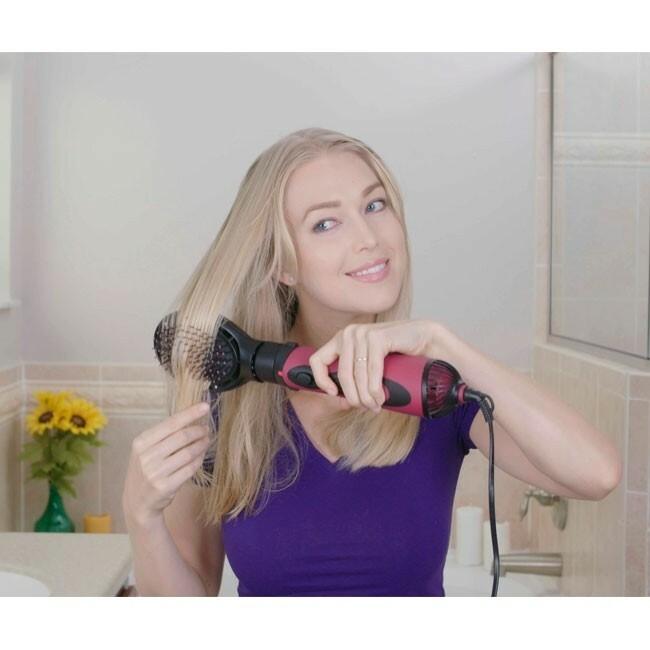 The Velform Brush & Dry smoothes wet or dry hair, while the flexible bristles glide effortlessly in any direction, that you never have to worry about pulling your hair again. 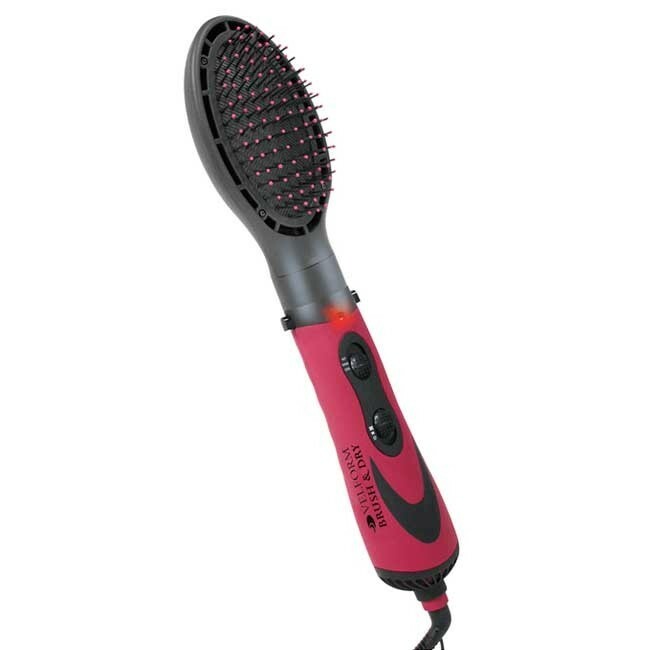 Plus, it's super gentle and comfortable to use, because the round bristles provide a soothing massage, while the shock-absorbing soft base allows you to use it pain free. 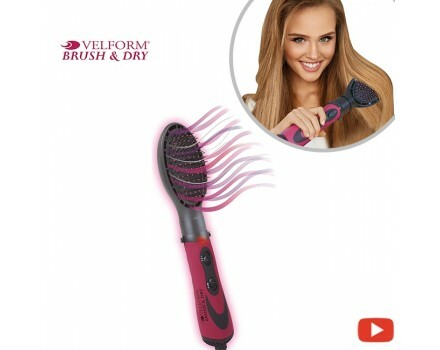 Velform Brush & Dry is the fastest, easiest way to blow dry and style your hair, all at once. 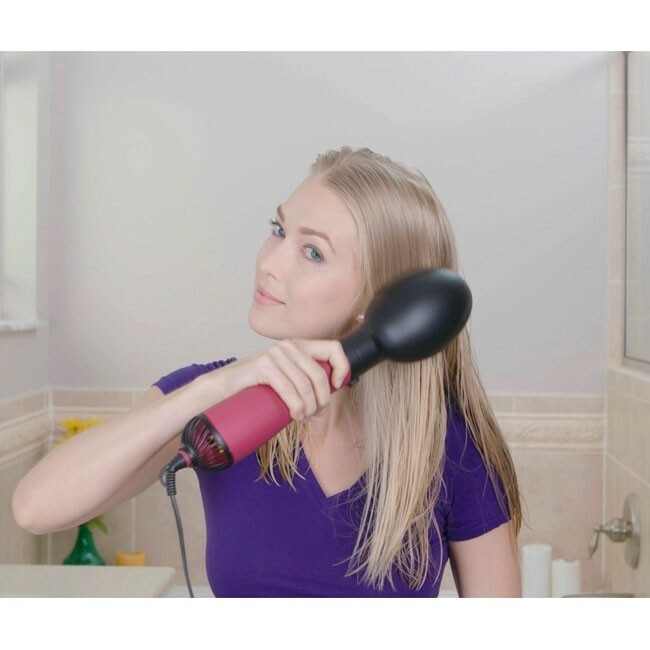 Blow dryers can be heavy and uncomfortable to juggle with a brush. 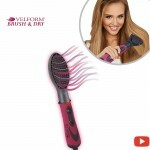 The Velform Brush & Dry weights less than 1lb and, it's so easy to use, that you can blow dry and style your hair with one hand. It features a two-speed fan with adjustable temperature setting and a 360-degree rotary cable that never tangles. Ordinary tools damage and fry your hair. 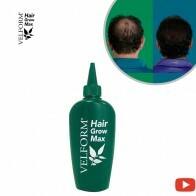 But Velform's advanced technology requires less heat to turn frizzy hair into silky smooth, beautiful strands, without any heat damage. 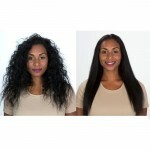 So, you can have volume and shine, that lasts all day. 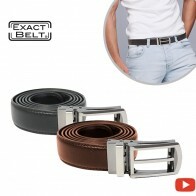 ow made with super hard durable titanium for maximum precision. Ordinary tweezers slip, slide, and break fine hair but Wizzit’s secret is it’s surgical quality titanium discs that are strong enough to remove tough, thick hair yet precise enough to remove the thinnest, finest hair from the root so it’s impossible to miss a hair and you can go for weeks without worrying about unwanted hair.